Add some fun to any event with a customized candy bar! 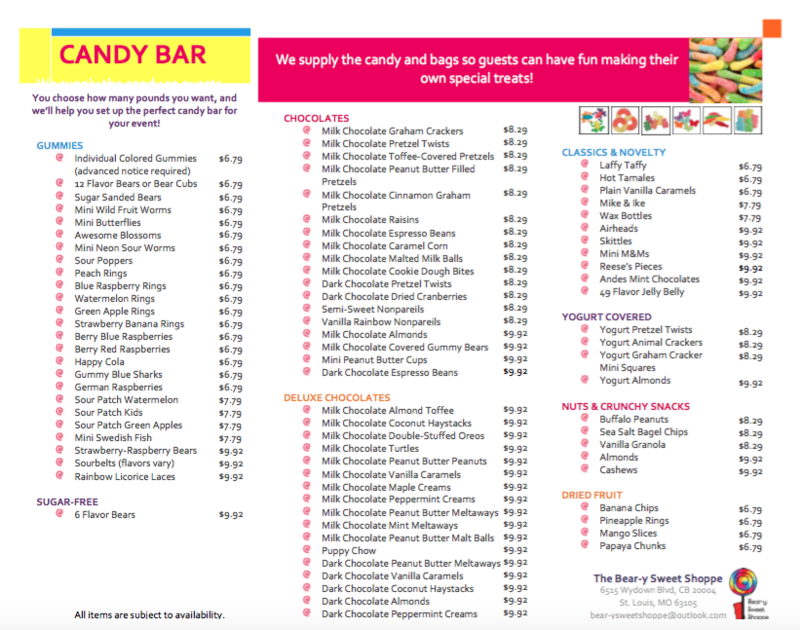 Select the types and quantities of candy you want, and we'll provide the displays and bags so guests can make their own treats! ​Contact us to schedule your event!